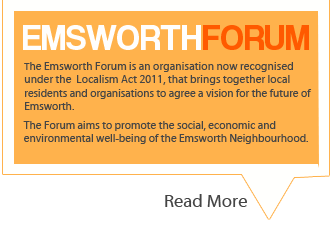 What is the Emsworth Forum? 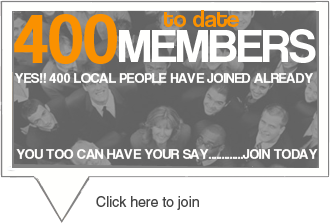 Why Do We Need A Forum In Emsworth? 1. For the first time in Emsworth the Forum will bring everyone who cares about the town together: residents, people who work in or have a close connection to the town, businesses and community organisations to share information, ideas and views on how to make the Emsworth even better. 2. Secondly, the new powers given to Neighbourhood Forums in the Localism Act give the Town for the first time, the opportunity to have a powerful say in how the town is developed by creating a Neighbourhood Plan which all Emsworth electors vote on in a Referendum. Once agreed, the planning authorities and developers have to take the Neighbourhood Plan into account when putting in planning applications and making decisions. 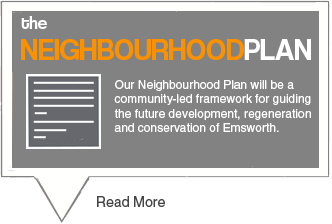 An Emsworth Neighbourhood Plan is an important asset for the community which writes its own plan for the development and redevelopment of Emsworth over the next 20 years. Emsworth Forum would bring such a plan together. What will the Forum Do? At the present time all the work is being done by volunteers and costs are being covered by small individual and business donations. We are also being helped by Havant Borough Council but their resources are limited. The Steering Group plans to keep the costs to a minimum but we will probably need professional help when we develop the Neighbourhood Plan. We intend to submit grant applications for costs of publicity and other expenses as they arise. Who Is Involved In This? Can I Be A Member? Businesses and Community Organisations can also join if they are based in or very near Emsworth or if they are very active within the area and support the Forum aims and objectives. The Forum will be run by a Management Committee that will be elected every year by Forum members. Important decisions about the Forum are decided by the membership in general meetings. Because the Forum has not yet been legally approved yet it is being run by a steering group. 1. To be kept informed by email about progress of the Forum, the working groups and development of the Neighbourhood Plan. What does a member of a working group do? Attends working groups and contributes their knowledge, experience and expertise on the topic being addressed and assists with developing that part of the neighbourhood Plan. Also represents the group and the Forum at other meetings etc. on that topic. I think this is a great initiative and would like to help – how can I get involved? 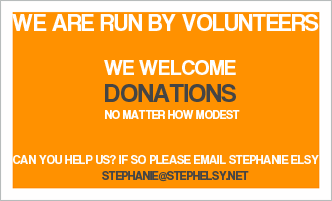 Contact the Steering Committee Chair Stephanie Elsy on 01243 379973 or stephanie.elsy@emsworthforum.com We need volunteers to make this happen and would be delighted to hear from you. Is the Neighbourhood Forum The Same as a Parish Council? No. There are no elections for politicians in the Forum and The Forum is politically neutral. Emsworth’s Ward Councillors are supporting the Forum but Emsworth Forum is run by volunteers who are residents or who work in the Town. 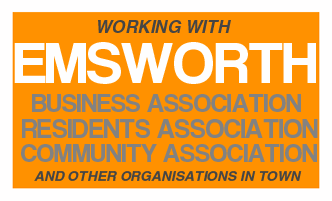 Isn’t this the same as the Emsworth Residents Association? No. The ERA is an important organisational member and supporter of the Forum but membership of the EF is not limited to residents as it includes businesses and community organisations too. The ERA does not have the powers to develop a Neighbourhood Plan. This is what makes Emsworth Forum unique. OK, I have joined online. What’s next? We will confirm by email your membership. If you have joined online you will already have a username and password set up. You can now participate in the Forums. You may remain anonymous if you so wish but details of your true identity will be known only to the committee members of the forum. This is to stop typical online abuse of the forum which often happens under the cloak of anonymity.